hanging by threads as the community fights to resurrect the economy and the youth flee to discover the bigger cities in hopes for something more. Pressed against I-40, one of America’s largest freeways, it welcomes travelers from the west and east coasts as they cut through the New Mexican community in route to their destinations. The constant flow of travelers keeps a string of motels and truck stops in business while they stop for rest or gas to continue on the highway. Blue water towers loom over the old Route 66 thoroughfare that weaves through the heart of the town, where in the mix of vacant decrepit storefronts you’ll find a newly opened business here and there in entrepreneurial attempts to stimulate the economy. A mix of ranchers and working-class Catholics call Santa Rosa home. A town that lives for friday night football games at the high school and the fall county fair. If you want to talk to the mayor, you can just go to see him at his restaurant. Teenagers wait tables after school. Elderly people scoot around town on their electric wheelchairs as they waive and say “hello.” It is the quintessential American town. But one by one, the businesses are disappearing. The necessary community services are leaving - there is no longer a day care for families to leave their children at while they go to work. A string of motels hires international students to staff the housekeeping areas in the peak summer times because they can’t find laborers willing to work. Drug use is on the rise and the privately owned prison provides the bulk of jobs for community. 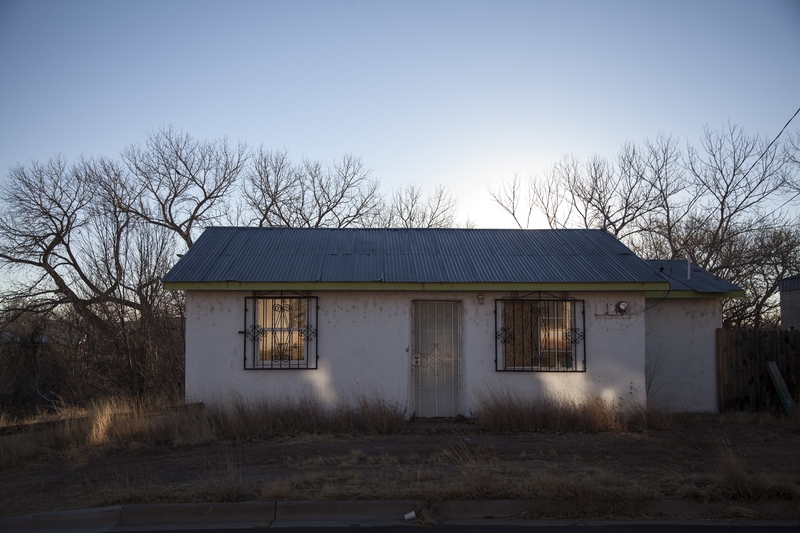 The elderly make the choice to leave their home and relocate to Albuquerque, the closest urban area, where they have easier access to proper care and doctors as their bodies begin to decline. Santa Rosa is not a special case. If anything, it is an example of what is transpiring in other rural American towns that seek ways to hold on to their tradition and simplistic ways of life while the more expensive and chaotic cities gain their laborers and students. Rural American towns die off rapidly as the economy shifts and it becomes more difficult to thrive in more modern times, but Santa Rosa is still there. 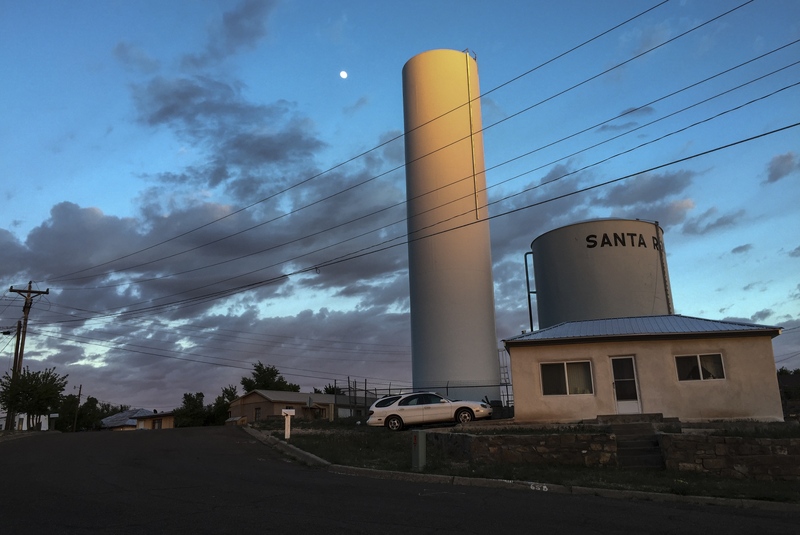 Santa Rosa is home to a community that strives to stay alive as rural American towns begin to collapse with ever changing economics and lack of opportunities for the youth. Santa Rosa High School students Lauren Green and Gerard Crisostomo leave The Comet Restaurant to attend the homecoming dance in the fall of 2013. Green's parents moved her to Albuquerque, the largest city in New Mexico, and Crisostomo attends college in Las Vegas, New Mexico. Many families and youth leave Santa Rosa to pursue other opportunities that are not available in the town. Blue water towers loom over the center of town as an iconic fixture of the landscape as those who pass through on the interstate can see them from afar. 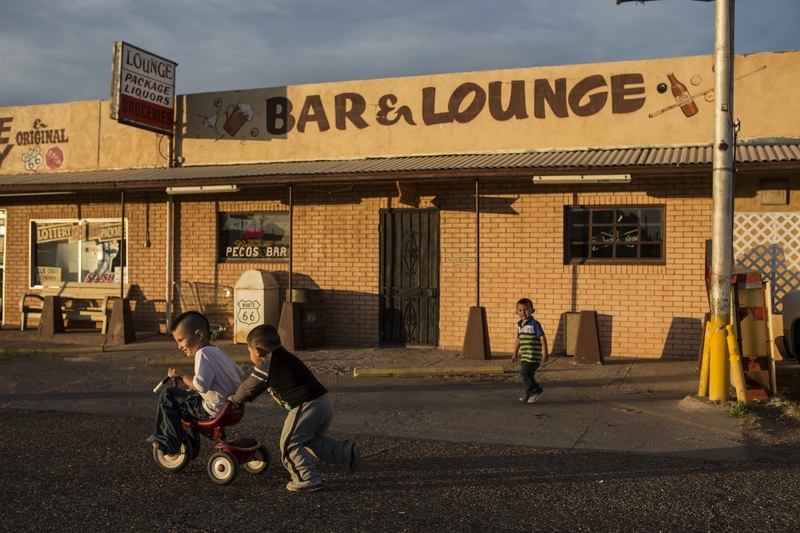 Children play in front of the now closed Pecos Bar on the west side of Santa Rosa. The saloon stopped serving patrons in the winter of 2015 after the owner sold the liquor license to a national restaurant chain in Albuquerque. The bar was a part of the Route 66 boom in the mid 20th-Century when the travelers would first enter the town and drive past the bar. After construction of Interstate 40 diverted traffic from the west side, businesses began to close. Many homes in Santa Rosa remain uninhabited and unmaintained as the owners or heirs live elsewhere. There is a substantial lack of housing in the town, leaving new residents searching for housing with many resorting to the plentiful motels and hotels in the area as permanent housing. 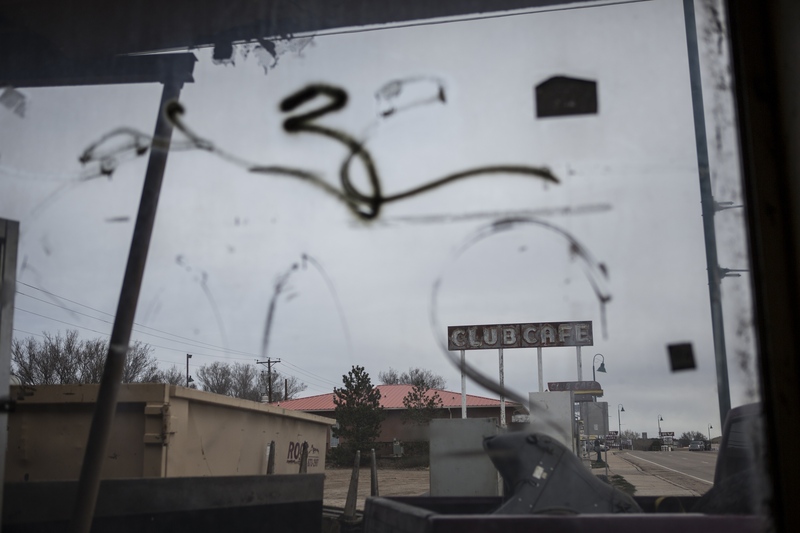 The Club Cafe sign can be seen from inside the former restaurant as workers cleared the remaining items from inside. The cafe was a flourishing restaurant where the Greyhound bus would stop on its way cross country and the passengers would have a meal or shake. The cafe was torn down in 2015. 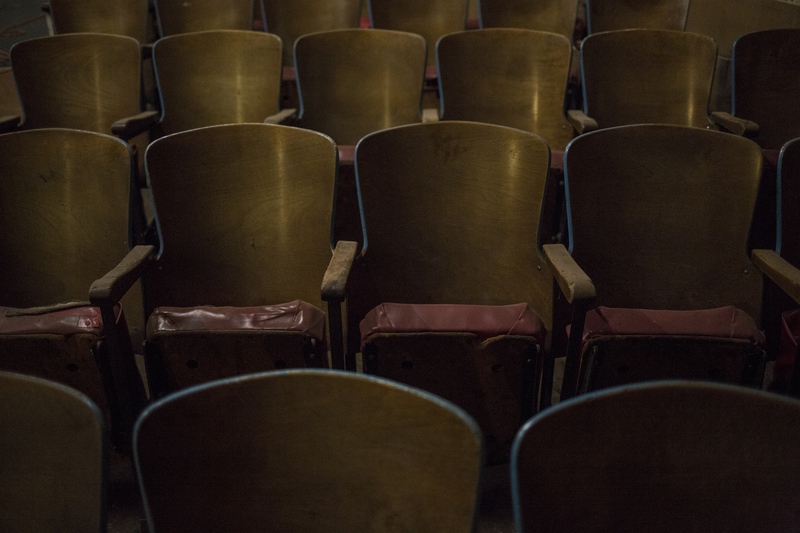 The Pecos Theater, a historic staple of the downtown area, screened its last film on November 10, 2010. Many of the businesses in the downtown area closed after an economic downfall. Currently, the theatre is under construction with goals of reopening in the winter of 2017. However, the downtown area still lacks the commerce it used to. There are hopes that a much anticipated Route 66 museum will help generate more traffic in the area to bring revitalization to the economy. 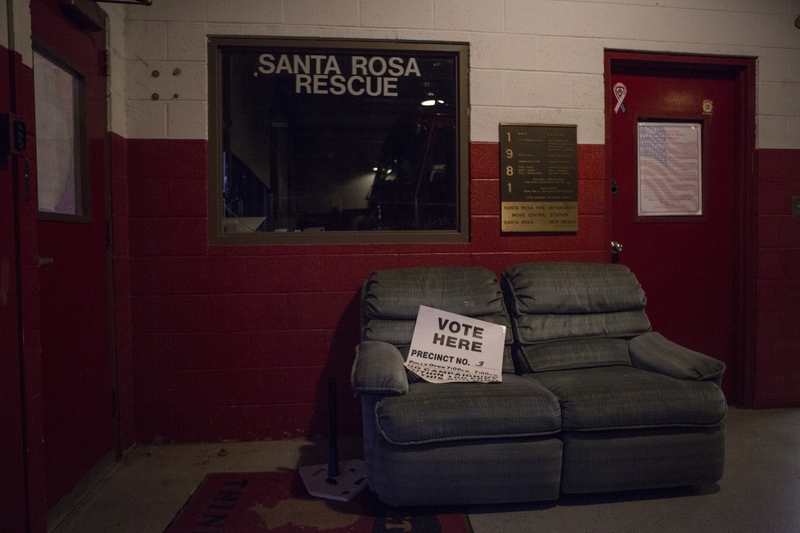 Santa Rosa resides in Guadalupe county where Democrats outnumber Republicans 5-1. Though President Obama clinched victories with more than 70 percent of the votes in 2008 and 2012, Hillary Clinton won by only 53 percent of the votes in the 2016 presidential election. 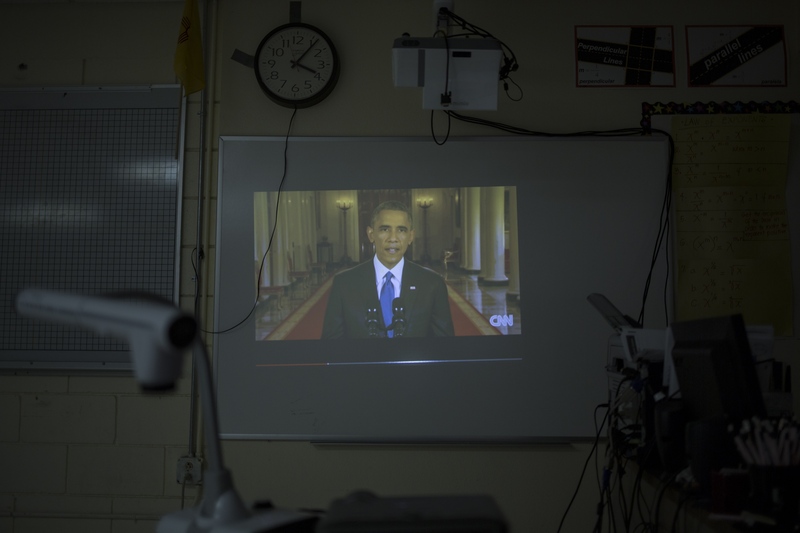 President Barack Obama’s 2014 speech on immigration reform projects on a whiteboard in a class at Santa Rosa High School. 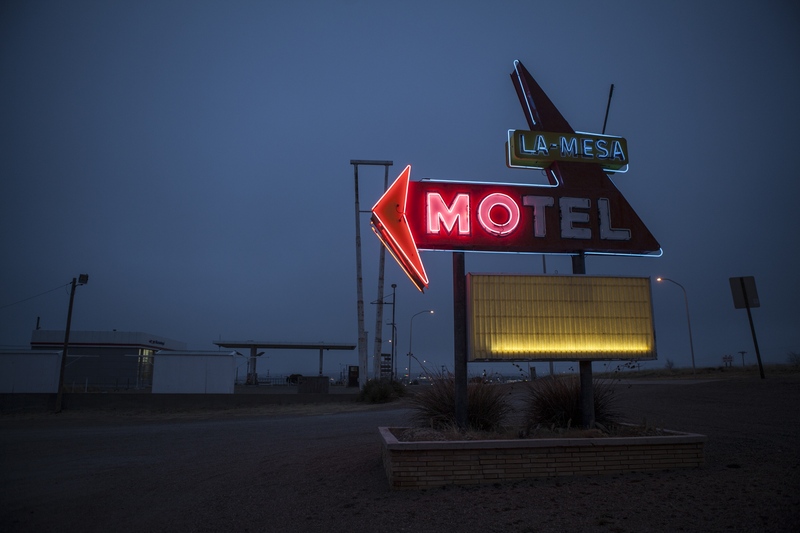 The La Mesa Motel is one of 16 housing accommodations that line old Route 66. A few of the hotels enlist seasonal help from college students around the world due to the labor shortage in the town. The Inter-Exchange Career Program sponsors a J-1 visa to students who are able to find opportunities to work in the United States during their summers. 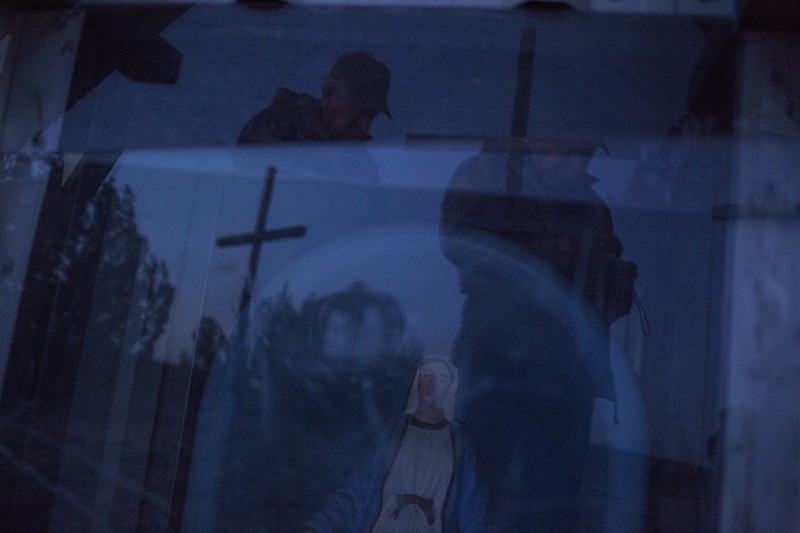 George Gonzales prays at a small chapel atop a hill after he carried a heavy wooden cross for several miles to a peaceful spot on his property south of Santa Rosa. He practices the annual Lenten ritual in the days leading up the the Easter holiday. The majority of residents were raised practicing Catholicism though other denominations have churches in the town. 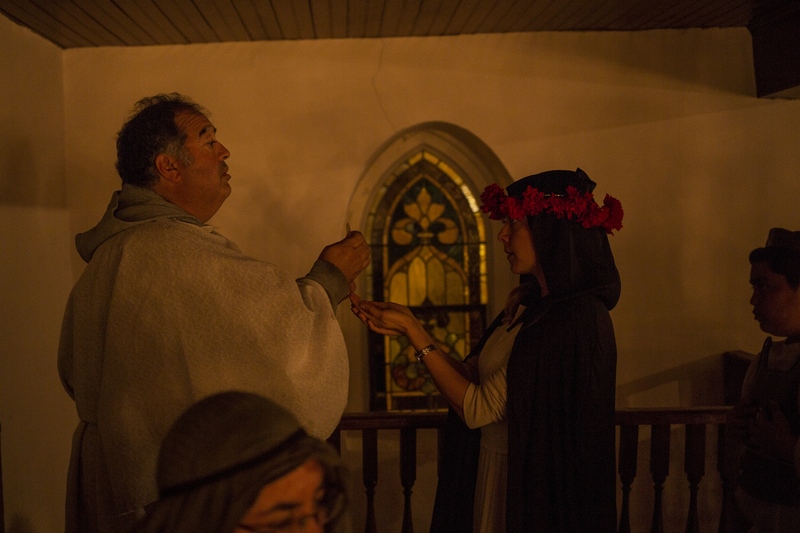 Severiano Sisneros III gives communion to Victoria Flores who is dressed as Saint Rose of Lima during the All Saints Day mass. 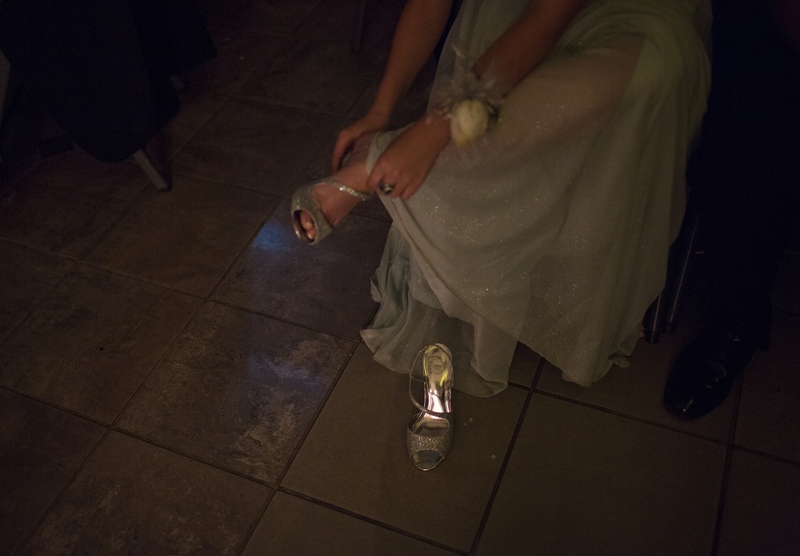 A girl puts on her shoes after taking them off to dance at the homecoming dance. 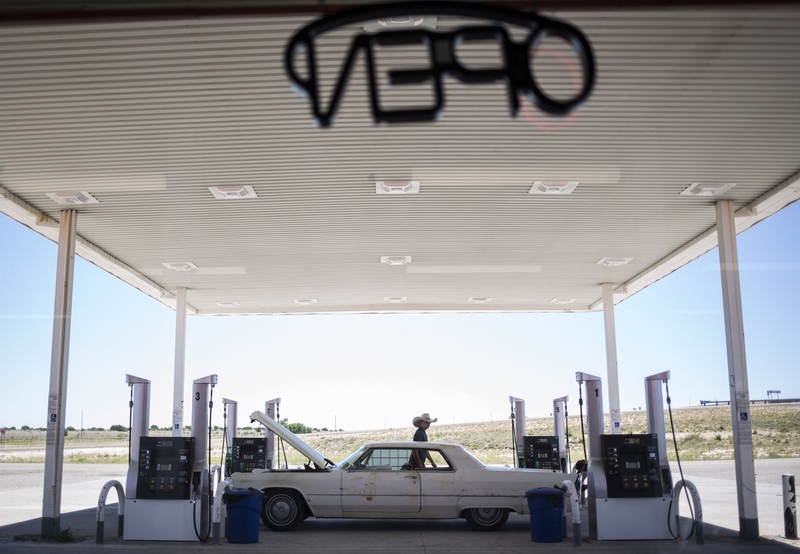 Austin Brough makes a stop at the newly-opened Akal Travel Center west of Santa Rosa, as he and a friend were heading toward Chicago in a 1960 Cadillac. The town is a stop for many people traveling from one in of the country to next along the Interstate 40. 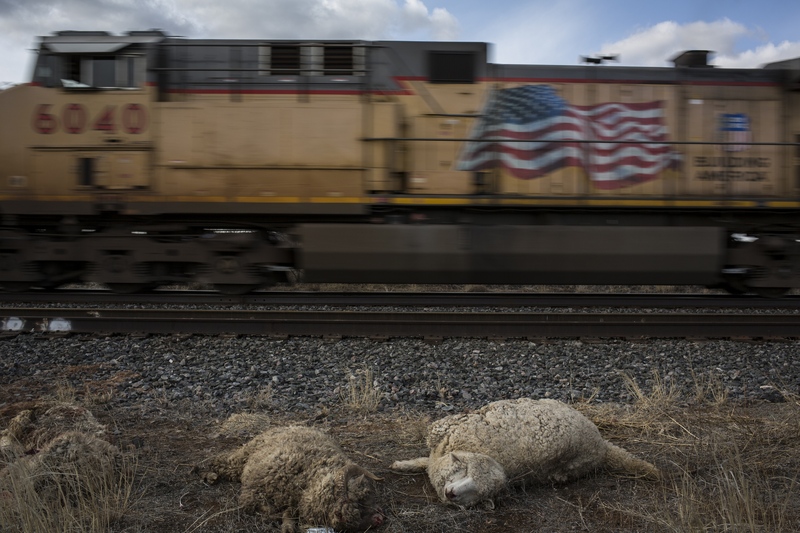 Dead sheep lay next to the rail road in the village of Pastura, just south of Santa Rosa, as a train passes by. Seven sheep were hit by another train that passed through. 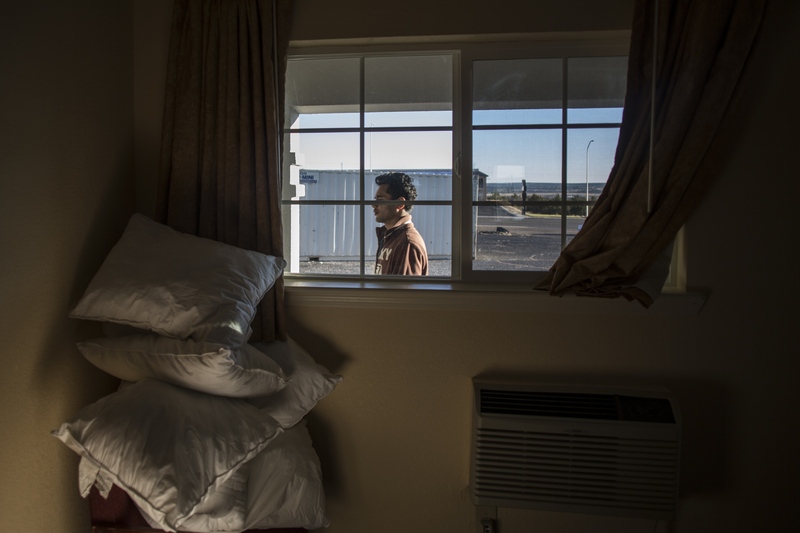 Diwakar Tripathi walks by an unfinished room at the Route 66 Motel as him and other workers prepared for the reopening after a year long construction to repair damage from a hail storm that hit on July 3, 2013. The storm left many businesses and residences with flooding and roof damage. 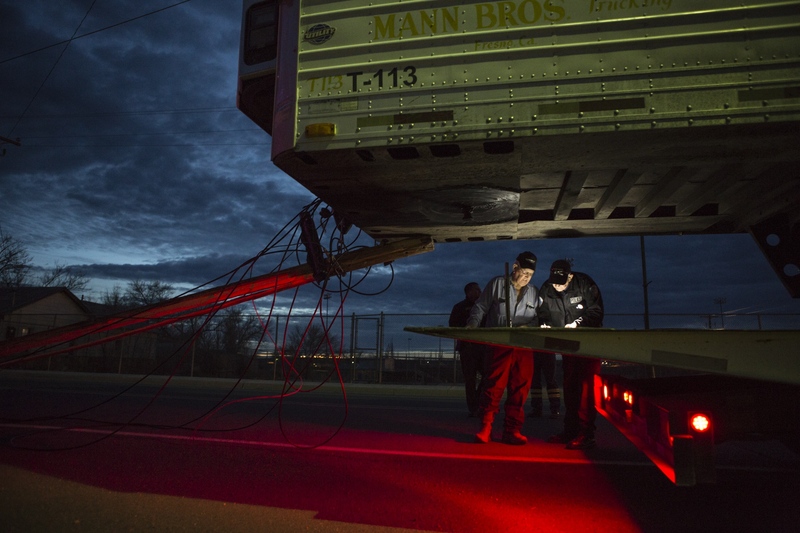 Truck driver Marlin Terry answers questions from Santa Rosa Police Officer Joseph Martinez as a power pole dangles from his big rig after he ripped down power lines with his trailer that was taller than regulations set by the Department of Transportation. Adria Malcolm is a freelance photojournalist based in Albuquerque, New Mexico. She is available for commissions in the United States and throughout the world.